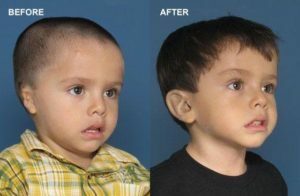 Recovery from ear reconstruction is relatively short, but needs to be handled carefully and dutifully to ensure the best results for you or your child. Patients can generally return to light activities about three days after surgery. However, it could take up to three months for swelling to fully subside and permanent results to be visible. It is also important to consider the recovery needed if rib cartilage is harvested or if a skin graft is taken from the patient’s body. Dr. John Reinisch and Dr. Tahiri personally plan and coordinate every surgery they perform, and they can discuss the full scope of ear reconstruction recovery with you at our practice in Beverly Hills, CA.